Grant Gustin and Melissa Benoist appear on stage together at the 2017 Teen Choice Awards held at USC’s Galen Center on Sunday (August 13) in Los Angeles. The actors both star in superhero shows on The CW – The Flash and Supergirl, respectively. Grant won the award for Choice Action TV Actor and Melissa won for Choice Action TV Actress. The Flash was also victorious in the Choice Action TV Show category. FYI: Melisa is wearing a Zeynep Arcay look, Giuseppe Zanotti shoes, and Anita Ko jewelry. Katherine McNamara brought some flower power to the Teen Choice Awards! The 21-year-old Shadowhunters actress stepped out in a flower-filled dress at the award show held at USC’s Galen Center on Sunday (August 13) in Los Angeles. She was joined by her co-stars Isaiah Mustafa and Emeraude Toubia! The Shadowhunters cast was up for several awards including Choice Sci-Fi/Fantasy TV Show! Emeraude also received a nod for Choice Sci-Fi/Fantasy TV Actress. The 2017 Teen Choice Awards will air TONIGHT @ 8PM ET/PT on Fox. FYI: Katherine is wearing a Moschino dress and Casadei shoes. Emeraude is wearing a Nicolas Jebran dress. Tyler Posey and Tyler Hoechlin are spreading the love at the at the 2017 Teen Choice Awards! The Teen Wolf co-stars embraced on stage at the event held at USC’s Galen Center on Sunday (August 13) in Los Angeles. 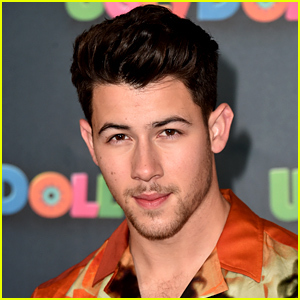 Tyler was a presenter at the show tonight and he is up for Choice Summer TV Actor against Noah Centineo (The Fosters), Cody Christian (Teen Wolf), Kyle Harris (Stitchers), David Lambert (The Fosters), and Harry Shum Jr. (Shadowhunters). 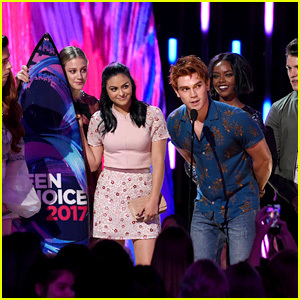 It was a big night for the cast of Riverdale at the 2017 Teen Choice Awards held at USC’s Galen Center on Sunday (August 13) in Los Angeles. KJ Apa joined co-stars Cole Sprouse, Lili Reinhart, Camila Mendes, Casey Cott, Ashleigh Murray, and Madelaine Petsch to accept the award for Choice Drama TV Show on stage at the event. Cole won Choice Drama TV Actor, Lili won Choice Breakout TV Star, and the two of them won Choice TV Ship. Other awards that Riverdale won were Choice Breakout TV Show, Choice Scene Stealer for Camila, and Choice Hissy Fit for Madelaine. 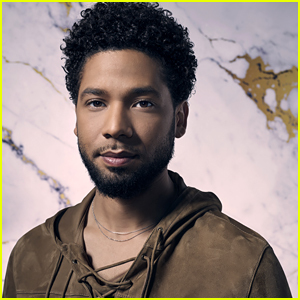 FYI: KJ is wearing a The Kooples shirt and jeans. Cole is wearing Prada. Casey is wearing an Asos bomber jacket. Madelaine is wearing a Genny outfit, Stuart Weitzman shoes, a Tyler Ellis bag, and jewelry by EF Collection and Meira T. Camila is wearing a Longchamp look. Miley Cyrus was notably absent from the Teen Choice Awards and now she’s explaining why. The 24-year-old singer, who was set to receive the Ultimate Choice Award, took to her Instagram to reveal that her hectic schedule caused her to miss the show. 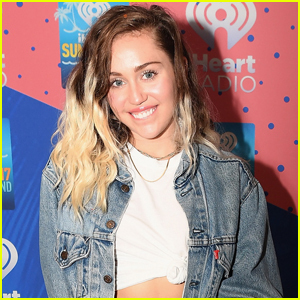 Despite her absence from the event, Miley did have some great news – her new single “Younger Now” is being released this Friday (August 18)! “To my dearest fans & all of those watching @teenchoicefox ! I want to say thank you from the very bottom of my heart for presenting me with #TheUltimateChoiceAward ! I am beyond bummed I couldn’t make it to the show as I had every intention of being there to accept and celebrate this honor!” Miley wrote. “I hope to always make people smile and shine light thru my work! I look forward to making music for the rest of my life and I’m thankful everyday for those who listen! I am sending so much love and peace into the world right now because THATS what we need most! Love Love & more LOVE!” Miley concluded. 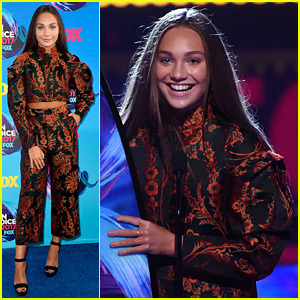 Maddie Ziegler took home a surfboard for Choice Dancer at the 2017 Teen Choice Awards! The 14-year-old Dance Moms alum wore a black and orange two-piece ensemble for the event held at USC’s Galen Center on Sunday (August 13) in Los Angeles. She accepted her award from Naya Rivera and Ne-Yo. Maddie held hands with BFF Millie Bobby Brown on the blue carpet. 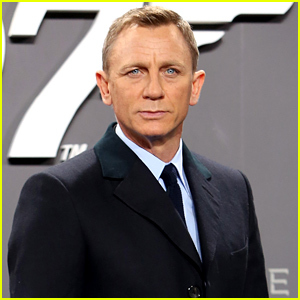 See the sweet pics in our gallery! FYI: Maddie is wearing Zac Posen Resort.